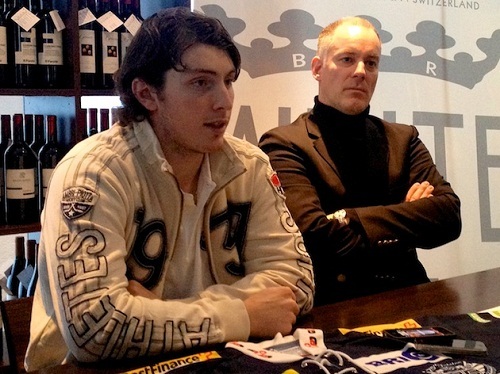 The exclusive interview with Matt Duchene did in Switzerland, where he is going to play in December. Why did you choose to continue your European adventure in Switzerland and why in the relatively weak team like the HC Ambri-Piotta? (laughs) First of all, I have heard a lot good things about Ambri. Obviously, they are probably not where they want to be in the standings right now. But you know, it can change, it is a league with not a lot of teams and you can move up in the standings very quickly. That is obviously a goal for everybody here and for me now. The reason, why I chose Switzerland is, because it is one of the best leagues in the world besides of the NHL. For me, two places where I wanted to play in Europe were Sweden and Switzerland. I was not able to continue in my career in Sweden, so Switzerland was my next move. I am thrilled to be here now. Why did you not go to try it in the KHL? It is nothing against Russia. It is a different life over there. It is incredible difference in Sweden and Switzerland compared to the USA. And Russia just holds another level of different and to be honest I did not really even consider that. It is too far away. You know there are parts of it that aren't very safe. I have heard nothing but good things about the league and the hockey, but it is just not for me. 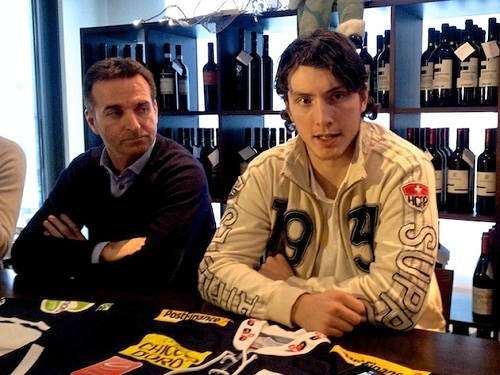 Did you contact somebody or some players before the joining the Ambri? No, I talked to my agent. He works with a Canadian guy, who used to play here. 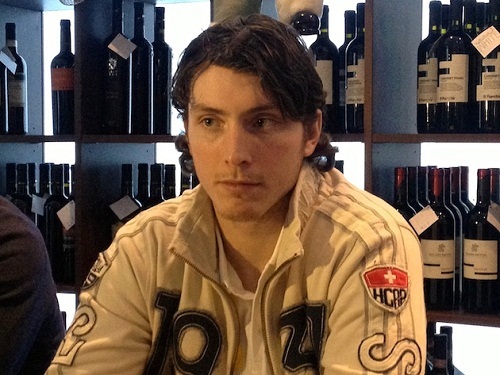 All I heard were only good things about Ambri, so I said OK, I trust you guys, so let´s do it. Did you have to change your game to adapt the European hockey style? In Sweden, I had to change a lot. I like to play very fast, up and down the ice. In Sweden they really like to control the play and slow it down. So as I learned to slow it down and be little more patient that time actually came easily for me. Obviously it is going to be new adjustment now in Switzerland. I heard it is very fast hockey here, probably more when I am used to. I am excited. Why did you leave Sweden? I did not make a decision. The Swedish league has not allowed any lockout players right now. The reason why I got play there was because they had injured player and they reached kind of agreement amongst the teams. They wanted to stay with him and I wanted to stay too, but they could not do it. It was good business decision for them and it is going to be good thing for the organization especially if the NHL will come back. It is tough to leave, I have never had to leave or be traded or quit a team in my life. I would never quit a team, that´s for sure. It was great experience. I have tons of friends there. Definitely it would be great stay there, but I am excited to come to Ambri. In the NHL, you play against the goalie of the Vancouver Canucks, Corey Schneider, who is now your new teammate. Yeah, I think he is one of the best goalies in the NHL. I think he is going to be a star once he is a starting goaltender, which looks could be in the upcoming season. I am really happy playing with him and also practicing with him, because I got shootout on him and I tried to improve myself by trying to score on him. I can say nothing but good things about him. I had only one shot on him this morning, but he stopped me. If you could choose the ideal teammates in your line, who would it be? I would take one guy that is really up and down, strong winger, can play in hard the corners, strong checks and can make plays with good skill. And at the other side, more goal scorer guy that can sneak around and find those areas. Every line up where I have played and I have had success has to be dynamic. You cannot keep same type of players in the same line because just everybody does the same thing. It needs players with different roles. Do you feel to be more center or winger? I am a center, I am not a wing. I can play wing, but I am natural center. At the wing you can sometimes to play more offense, but you feel more out of the game, I do not get used my skating much, because I am still standing, but as a center I am still moving. When you were drafted, you looked like happy when you have not been chosen by the Tampa Bay Lightning of the second place. Colorado Avalanche was my favorite team as the kid. Joe Sakic, Peter Forsberg and Patrick Roy were my idols, so I wanted to play for the Avalanche and I did not care if I would be first or second, I just want to play for the Avalanche. 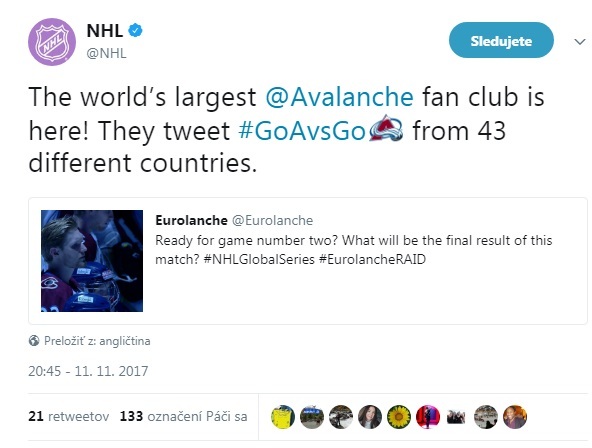 Why a Canadian boy ends up being a fan of the Avalanche? I was big Montreal Canadiens fan as well, but Colorado and Montreal were two my teams. I was actually drafted in Montreal by Colorado, sounds pretty cool. A lot of kids growing up liked Colorado a lot, just because they were dominating team and had so many great players. I am still to be privileged to be in the organization and the city. Have you heard that Valeri Kamensky played in Ambri in 1994 yet? Yeah, I heard about that. He was a guy I watched as the kid in Colorado Avalanche. I heard he did well here, so hopefully I can do somehow what he did. Can you comment the current situation between the NHL and NHLPA? I do not know. It is very hard to comment, because I am not in the discussions and I am not sure about the whole dynamic. I only read it on Twitter like you guys, everything what I see. My impression so far is very disappointed, but we want to play hockey. Hopefully we can back to play at some point. What is your contract with Ambri? Will he stay here after 2012? To be honest, I did not really look too much on that. I just signed. I am going to play as longest they want me to. As long as it is the best decision in my career, I will stay here. Will you play at the international tournament of the Spengler Cup held in Switzerland later this month? Yeah, it would be great to play for Canada. They have not announced the roster yet. But when they do and the NHL will not restarted hopefully I get chance to play. The interview was did by Andrea Branca for www.heshootshescoores.com and published at www.eurolanche.com with the exclusive approval.